Take it from us. Picking up leaves from outside do not turn you into some kind of tanuki-human hybrid. We know, Super Mario Bros 3 would have you believing otherwise, but we spent a fair amount of time testing this theory and although we had a really cool leaf pile by the end of our experiment, we've concluded that leaves don't have any magical super powers. Of course, that could be kind of disappointing if your child had planned on sprouting a raccoon tail so he can fly, but fret not! We've got the perfect way to give your child the raccoon ears he so desperately craves! 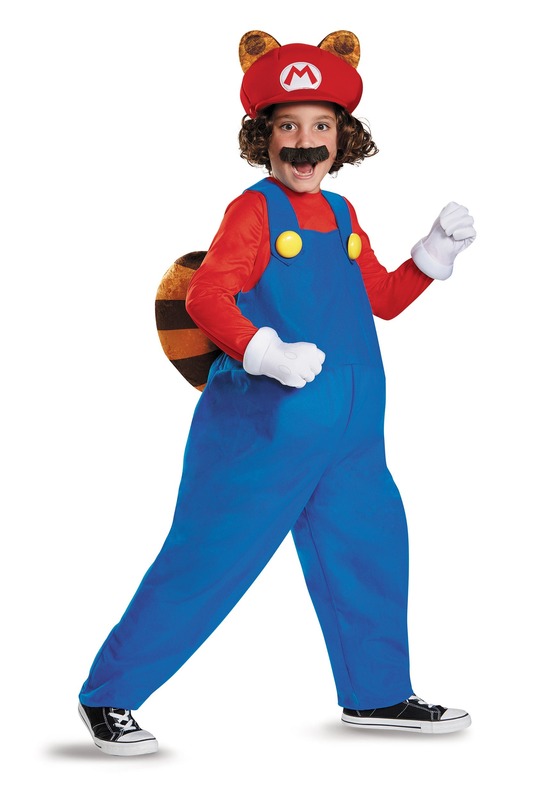 This Deluxe Mario Costume helps to transform your child into the powered-up version of Nintendo hero. The costume recreates the blue overalls and red shirt seen in the video games and adds the raccoon ears and tail for that Super Mario Bros 3 look that will have your kid ready to do some platforming! Tres contente de mon achat. Le tissus est un peu fin mais deguisement large pour mettre des vetements dessous. J ai commandé du 4-6 ans pour mon fils de 4 ans, il va le gardé un moment car il taille grand. Le top c est le ventre gonflable j adore ?? Par contre moustache un peu grande. Mais le rendu final est super ! Sans parlé de la livraison rapide , usa-> france en 5 jours ! J adore ce site .